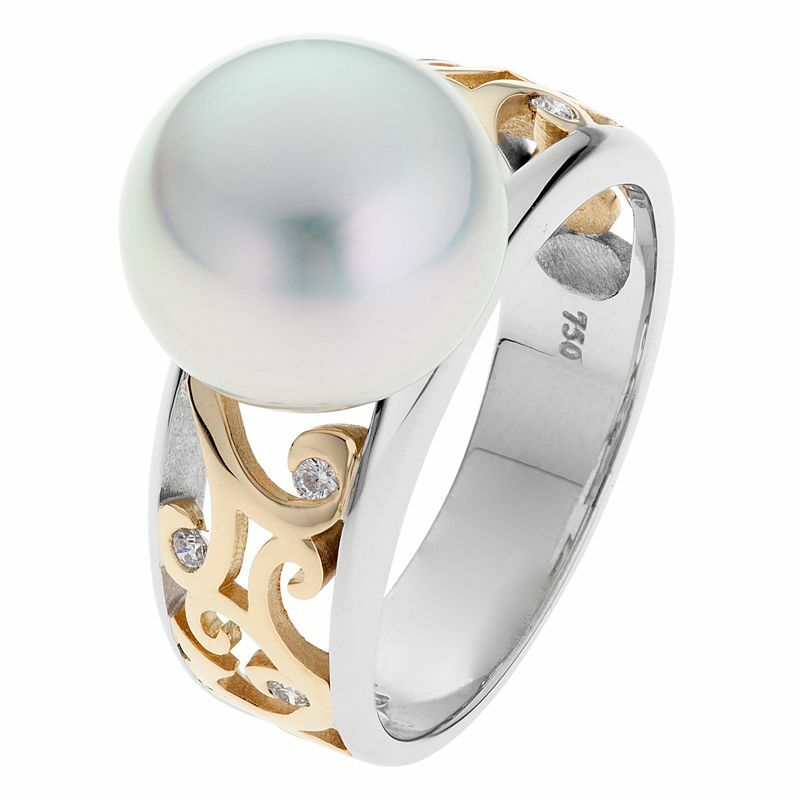 A wide band design with the comfort of an open frame, this White Gold pearl ring gives you the statement without the price. An accent of diamonds allows you to it dress up at night and go from work to the cocktail bar with girlfriends. 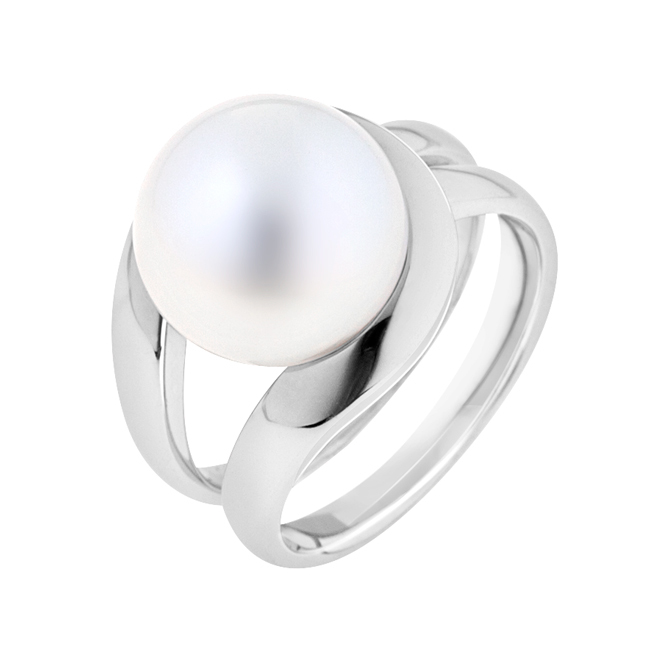 Shop this for yourself as the gift that keeps giving, or purchase it as a present for that special person who loves pearls and white gold. Buy now, pay later interest-free.